Greetings! I apologize for my tardiness but medical issues were in charge this time! Gentlemen, I am submitting my post for the Cox Engine Speed Contest .... albeit late and probably not eligible but I just wanted to submit it. This is my ME-163 built from plans from Outerzone. It is powered with a Black Widow that I've had for quite a number of years using Sig 1/2A fuel. After 7 warmup laps, I timed the required 12 laps at 39.87 seconds or 45.13 MPH. Cool beans finally someone posts a vid! What size prop was that? Well done!!! Hey, a little more nitro to stabilize the needle setting & I reckon you'll get a much quicker time. Get that thing cranking a little smoother and faster! Nice flight though. Glad you stayed upright for the whole time. Glad your doing better and nice to see a video for the contest !! way to go !! Thanks Guys! It was a lot of fun. Actually, I have a whole box of 1/2A's that I built, mainly because I thought the plans looked so durn kool. Unfortunately, I just don't get all that much time to fly 'em! In this case, I was determined that I wanted to at least qualify with the "Greats" who have participated in this event ! Heck .... somebody's gott'a be the "waterboy" of the event, eh !! I'm just sorry medical issues prevented me from posting to this site before the 1 June deadline. Just curious, can anyone confirm/verify the time I calculated starting after the 7th lap? Oh, to answer the question, I used an old Master Airscrew 6X3 prop. I timed you for 12 laps, starting after the 7th lap, and came up 40 seconds for 45mph? I would appreciate someone double checking for me. The good news is you’re the winner with the only video posted! 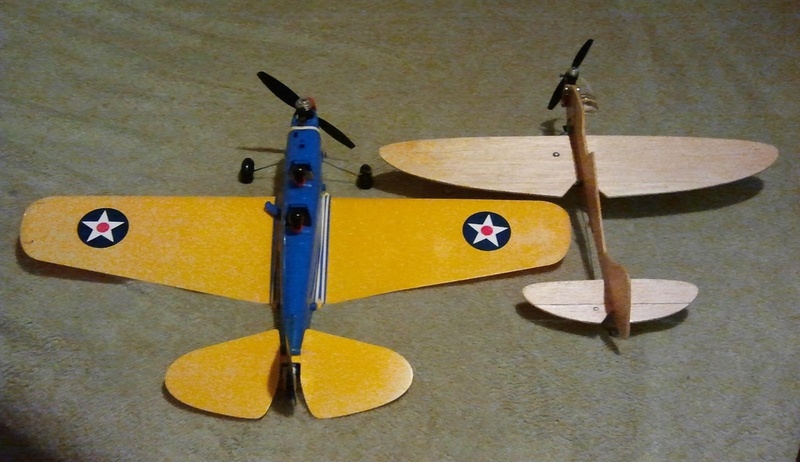 I’ve test run both my entries and have my reedie 95% percent done, just need to find time to fly them. Anyone else have video yet? 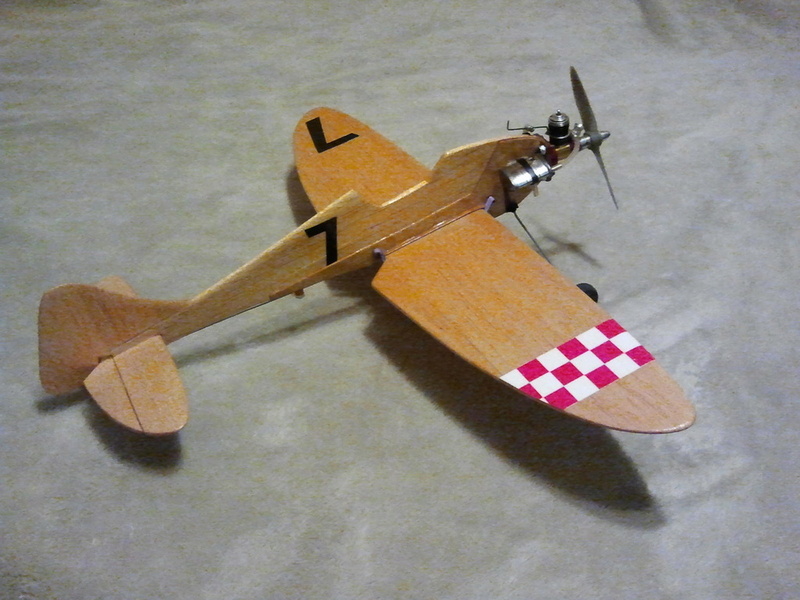 The “Balsa Bullet” is done save for the landing gear, sitting right at 4oz..
James! 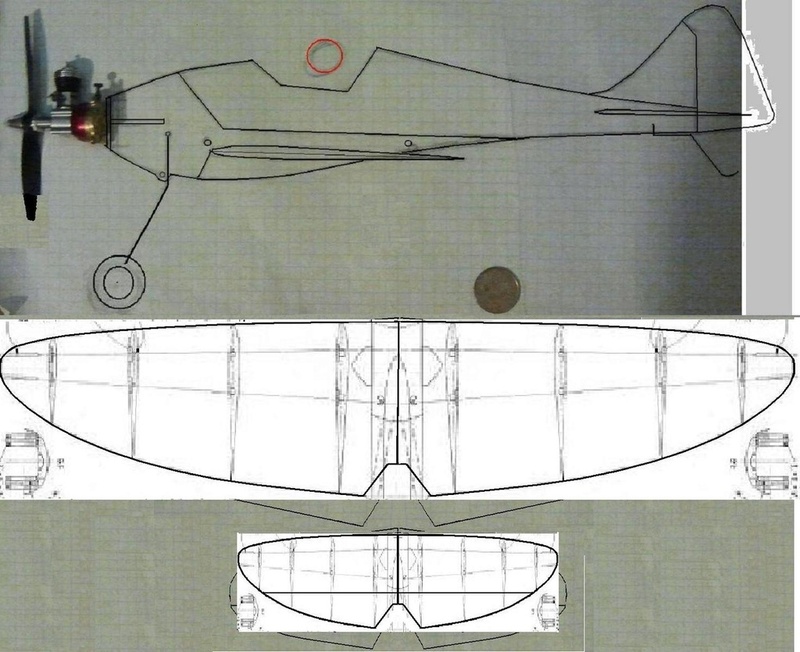 I like your "Balsa Bullet" this would be cool scaled up with some RC gear. Aileron / elevator and throttle. Greetings !! Oh man! I feel like the biggest dummy on the planet ! I revisited the video and then rechecked my math . This time I used the NCLRA Speed Chart at NCLRA.org and you are absolutely right !! I came up with 45.13 mph ! Please forgive me for my unworthy post. I will correct it both on the YouTube post and above. I totally screwed the pooch !! I must admit, I like that calculating program they have online. I guess I won't be trusting my old feeble math skills going forward. You're being too hard on yourself Jim. Congratulations on getting a flight in.. and captured on video. roddie wrote: You're being too hard on yourself Jim. Congratulations on getting a flight in.. and captured on video. I agree, no big deal. Honest mistakes happen. I put a Tee Dee .049 on my Super Corsair from the first Reed Speed contest. I’m calling this my rotary intake entry. It did 57.45 mph with the reedie and skinny racing wheels that I can’t seem to find now. Curious what it can do with the new power plant. Jim Carter / Titusville, FL. 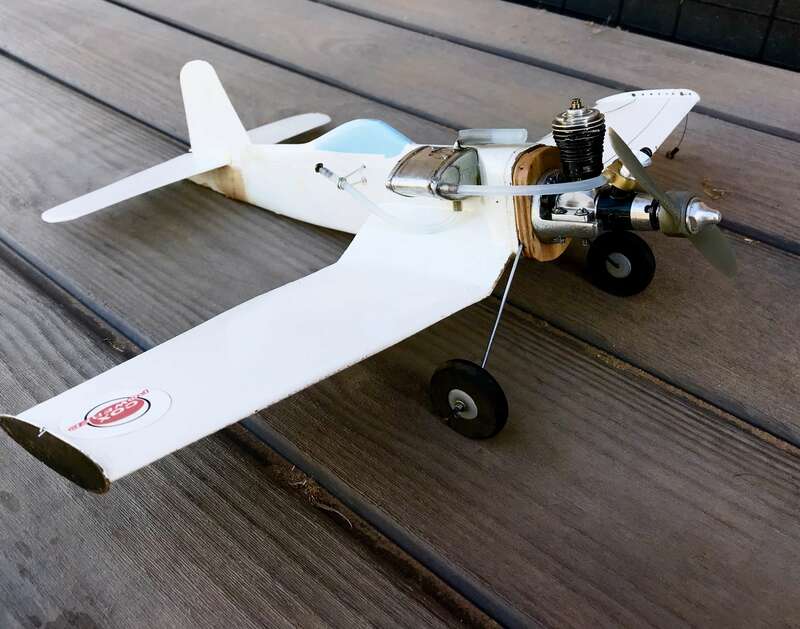 Control Line ME-262 with Cox Black Widow Engine, 35" lines. This is posted for the Cox Engine Forum Engine Speed Contest 2018. I know it's not the fastest but it sure was a load of fun!! After 7 warmup laps, I timed the required 12 laps at 39.87 seconds or 45.13 MPH. Congrats modelbuilder49 for the Win and having some fun doing so !! My Fellow Cox Engine Lovers! I am so very thankful and happy to hear that I won! I love the idea of having the "BRAGGIN" Rights for 2018 Thank you! Thank You! Thank You!! Fred, I'll send you a pm with my personal information if that's okay with you. Again, my thanks to all and I look forward to the COX ENGINE FORUM SPEED CONTEST 2019!! Unloaded noted best rpm: 17,441 mid way through the flight. That equates to 49.6 mph prop pitch speed less drag load. 6x3 prop will naturally make good thrust over a 5x3. Good morning everyone and to all the guys out there .... Happy Father's Day!! Ordinarily I would have kept any transactions private through a p/m but I felt if would be appropriate to make this public: To Mr. FredVon, Thank you for your most generous award. The $100 prize arrived yesterday and in a public manner for all the members of this forum, I am honored to say "Thank You! You're a true standup guy"!! Congrats to James Catrer ! Fred that was mighty kind of you to offer prizes to the folks. one evening ready for paint the next day, very simple easy to do for all age levels. I had built this one in a weekend here there for a few hours. control with a third line / never did. This could be blown up for 1/2A easy enough or a 3ch RC / 24" span using the TD .020. I understand your disappointment. We seem to end up with a similar decline in enthusiasm with most forum projects or competitions. It was the big thing to enter the Tach Race a couple of years ago, but that fell flat. The scale Reed Speed competition promised to be exciting, but hardly any of the planes built for it ever ended up taking to the air. I recall up to a dozen builds going on with everyone excitedly keeping track, but that fell flat. The current speed contest was pretty simple with less rules etc. Did people just lose track of the time or was it all just too hard? Yeah he is. When I was mourning the wreckage of my flagship stunter in the late Fall of 2016, and hopelessly trying to salvage the wing from a pile of splinters, the doorbell rang. It was the mail-lady with a 4' long box. Inside was a complete Twister wing kit from model-maker Walter Umland, with Fred's return address on it. He must've felt my pain. I hope he felt my glee when that box arrived. After the rebuild, the Tazmanian Twister was better than before the wreck, and is still today, the current flagship of my stunt fleet. Fred, I would've liked to participate. 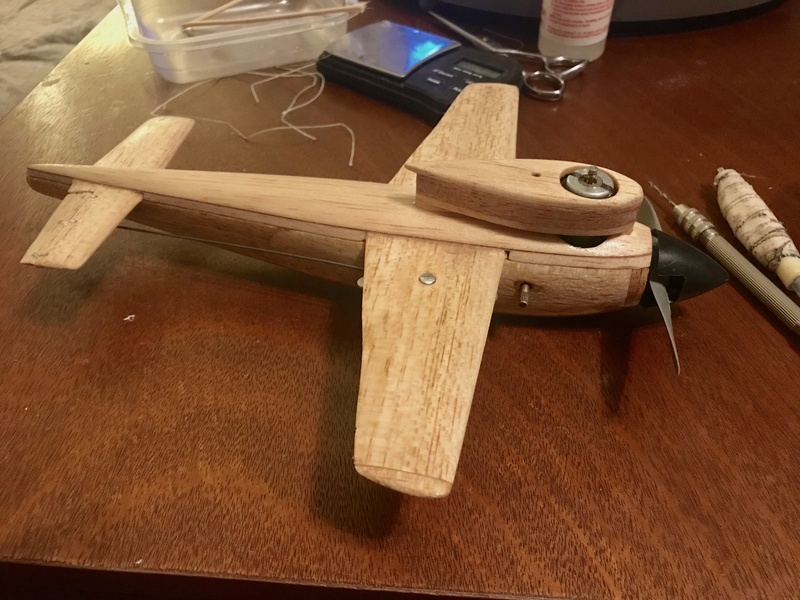 I have a few 1/2A speed planes and I really don't need to build anymore. Unfortunately, they didn't meet the criteria of the rules. I wasn't going to alter them to do so. From the sidelines, I think the time from rules to posting vids were far too great. I do realize why things were extended, it's just that it causes procrastination. I for one am very good at it when the opportunity arrives. This creates a stale situation. I see it in my club ALL THE TIME. The models get started, they begin looking like something then fizzle out. We have a 1/2A day at our club which the keepers of the cheese try to arrange every yr. Every yr they screw it up because of their poor planning and lack of 1/2A knowledge. We've had it in the dead of winter, the hottest of summer, not to mention windy windy days where you can't even fly a Ringmaster. So I set a date and if you can't make it, well there's always another time.